So, it’s been exactly three weeks since I began this project. At this point, meditation practice has become as much a part of my daily routine as brushing my teeth or changing poopy diapers, except I actually look forward to meditating. Yes, in these first 21 days, I did miss one day of meditation and I fell asleep during my practice two other times. I was EXHAUSTED those two days and waited until just before bedtime to meditate. This problem has been remedied by making sure I get my practice done early enough to avoid feeling overly tired. Although, I understand that falling asleep during meditation is a common affliction. Zen Buddhists spend a large portion of their day meditating in monasteries. T hey line up sitting on the floor, facing the wall and sit quietly in zazen meditation. All the while, the head monk walks around the room with a long, wooden flat-stick paddle called a keisaku that is used to slap the backside of any monk who falls asleep. Needless to say, these monks manage to stay awake and focused the majority of the time. I already know what you are thinking and, no, I don’t need you to come help me out with a good slap between the shoulder blades when I fall asleep during my meditation practice. But thanks for the offer anyway. I have continued to use my Headspace app and have enjoyed it very much. I have also done a few days of non-guided music-based meditations that a friend sent me by intuition expert Colette Baron-Reid. Having these options available to me makes it easier to be accountable to the practice for now. So, I’m having one of those ‘thank goodness for modern technology’ moments. 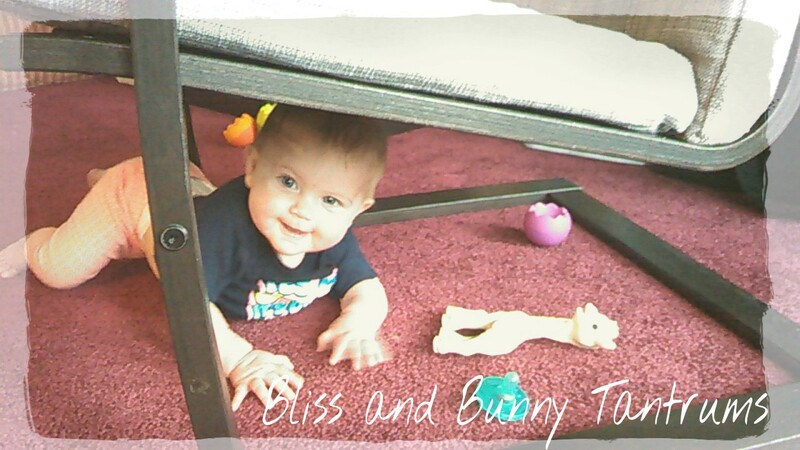 As I was meditating today, I could hear bunny girl practice her crawling across our new living room carpet. She’s quickly become mobile in the week and a half that we’ve been in our new home. Bunny girl chatters happily as she scoots across the floor and plays with her toys. I had to stop twice to get her out of trouble when she got caught underneath the Ikea chair I was sitting crossed-legged in, but because I was using the 10-minute music-based meditation track, it was easy to get back into the calm of the moment. Tonight, after the bunnies’ bedtime, I’m planning to use the next Headspace meditation in the series because I’m about to finish up Level Two, which feels rewarding to me. I’m a very visual person and, while it may seem silly to some, I love to put things on my to-do list that I’ve already completed just to have the satisfaction of crossing it off! So, I’m looking forward to seeing that I’ve completed both the 10 and 15-minute Headspace meditation series in the next couple of days. I won’t say that bringing myself to meditate every day has been easy. In fact, some days it’s downright hard. The day that I completely missed my practice, it was a complete accident and I didn’t even notice that I had forgotten until the next day. But, I got up and tried to get back on track again and have continued to keep coming back to my practice daily. There is a saying in yoga that it is OK to fall, as long as you keep getting back up. The other day, when I thought about meditating and my mind resisted, I bribed myself with a reward of a 100-calorie bag of microwave popcorn. Yes, this probably sounds ridiculous, but it worked. I love popcorn! So, I did my 15-minute meditation then instantly felt better for having taken the time to do it. Plus, I got the popcorn bonus! Don’t you just love it when things work out? !